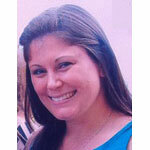 Jamie Morris is a SAT and ACT prep provider and academic tutor. A lifelong Volusia County resident and graduate of Spruce Creek High School, Jamie earned her B.S. in Zoology from the University of Florida. In 2013 she earned her Doctor of Physical Therapy degree from the University of St. Augustine for Health Sciences. She brings her scientific approach to the test prep process and her enthusiasm to all of the students she tutors. Jamie enjoys working with high school students of all ability levels and helping them experience success in their studies In addition to tutoring for Ace It Test Prep, Jamie is employed by Volusia County Schools. She and her husband reside in Ponce Inlet, Florida. Jamie Morris currently offering in-home SAT, PSAT, ACT and SSAT prep for individuals and small groups.